We have a wide range of votives in different materials. 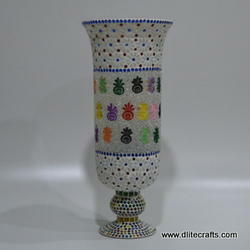 Our clients can choose from a wide range of Votive crafted from various materials and finish. These votives can be availed in a variety of shapes, sizes and designs with excellent and different finishes. Our huge collection of glass vase crackle has been appreciated by our global clientele and is very much in demand. Our glass vases are available in various colours as well as double shades. 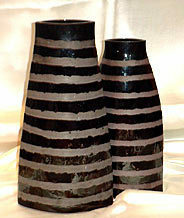 Clients can mention the size of the vases that they desire and we’ll develop the same size of vases. We provide a wide range of MGI-V3050 Vase that is designed to perfection by utilizing quality glasses. Extensively used as decorative items, these are offered to customize in size, finish, color, design and style as per the specifications provided by our client.